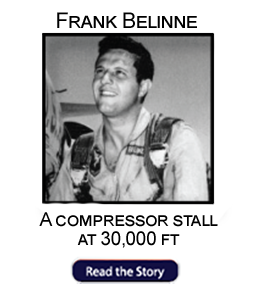 Before he passed, SSS Charter Member, Phil Edsall, conducted an SSS official survey of San Antonio to see if it might be a place to hold reunions [Phil lived there]. Phil found that SAT v LAS wasn’t even close. SAT expenses would be ten, yes ten times greater than LAS. 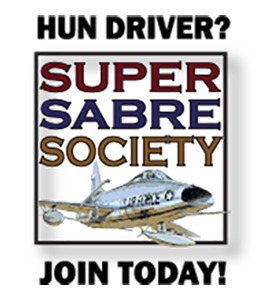 Since the day this group was founded, my position was that ALL SSS reunions would be held in Las Vegas, the home of the fighter pilot. I know 3 or 4 of our members say “I can’t stand Las Vegas.” Get a grip. 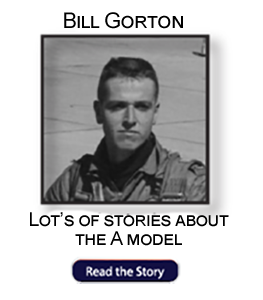 At one of our reunions, the only time I left the hotel was to attend a Red Flag briefing at Nellis. I wouldn’t have known Las Vegas from Muleshoe, Texas. We desperately need to look to the future. Whoa! We won’t be here in the out out years. So, do we close up shop and let the SSS die an agonizing death – or do we make arrangements to continue this organization under new and fresh leadership? If we are to continue, we need to give Associate Members the vote, maybe not in 2018 but we must do this in the near future. 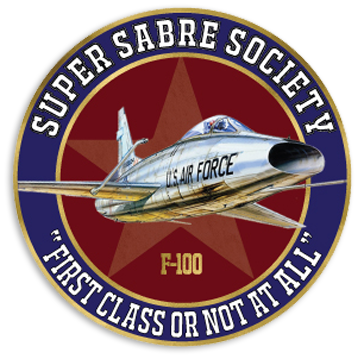 Continue a close relationship with Friends of the Super Sabre [FSS] and help them with their efforts in the restoration of the F-100D https://mapsairmuseum.org/gallery-tags/bomber-attack-aircraft/ at the MAPS Air Museum in Akron, Ohio. The FSS President, Anne Coleman, and the CEO, Mike Dean, are Associate Members of the SSS. Mike’s wife, Linda, is the CFO of the FSS. With our hugely successful quilt raffle, Pam Dunham and the Cupcake Princess [my wife, Sharon] are putting together another Hun quilt for raffling at the 2019 Reunion. Pam is the widow of Bob Dunham [RIP] who may have been the founder of the FSS. At future reunions, no guest speakers. 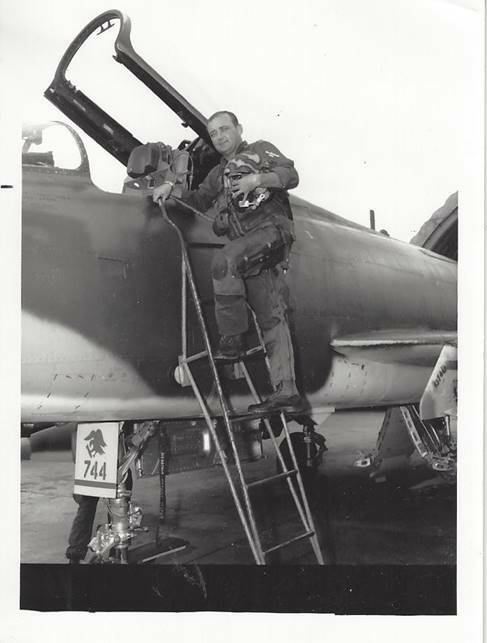 The only entertainment will be the song, Hun Drivers in the Sky, by Bill Hosmer. Any awards of course, where earned. 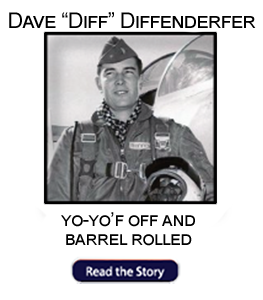 Get our Honorary F-100 pilot, Rowdy Dowdy, to see what he can do about making our web site more responsive and easier to navigate. 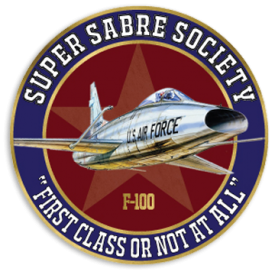 This is the SSS logo: The SSS logo is not the clean F-100 lash up with the peculiar maroon background you presently see on our website. I have no idea who changed it or why. No one consulted me or asked my permission to take the authentic one down [I originated the authentic design and paid to have it digitalized]. Charter members: check your coffee cup. It should have blood on the blade as shown on the SSS logo. Incidentally, our authentic logo is shown on the Udvar-Hazy museum Wall of Honor. Shep had a good idea that he let slip: short interviews with SSS members. I’ll reinitiate that if elected. The above constitutes my platform for Running for SSS President. There will be more if elected and some of the ones I’ve listed may need to be modified and we certainly need to look to the future.